The finest Italian tailoring. No compromises. for just £100 a month or £1,000 a year you could join our family and become part of something special. Get a 50% reduction on all made to measure services plus amazing in-store discounts. A £300 worth member’s gift box, containing some of the finest gentlemen’s accessories. We come to you! If you are unable to attend a fitting in our showroom, our tailor will visit you. Like any club, there is an up-front subscription – in this case £1,000 a year (or you can pay £100 monthly on a 12 month contract) – and this investment subsidises your suit and garment purchases over the year. When you join the Octavian K. Club, we are granting you access to a 50% reduction on the costs of our made to measure service for all suits, jackets and accessories. You instantly start to save and the more garments you require, the greater the savings. 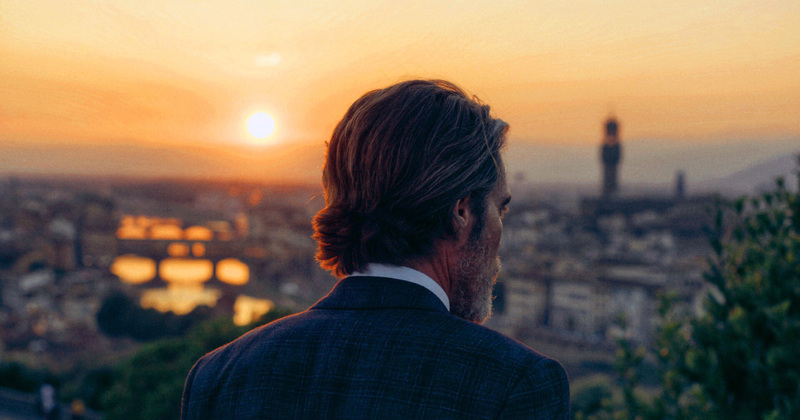 A club member investing in just two suits a year will save around £1,500 on full price. You will also receive a £300 worth luxury gift box containing some of the finest gentlemen’s accessories to get you started in style. This, on top of a long list of other amazing benefits. You can always purchase our garments without a membership via our exclusive and personalised made to measure services. Instead of passing on extortionate costs completely unrelated to the tailoring, we concentrate on making stunning suits priced as fairly as possible and sold directly to people who adore them. We live by the simple idea that fine tailoring should be fairly priced. We knew that, by being smart about the way we did things, we could sell beautifully made suits at honest prices. So we focused on what matters: exquisite fabrics, transparent pricing, perfected production, and tangible giving. Unlike other luxury brands, we don’t charge you 10 times as much as a piece costs to make. We don’t mount pricey ad campaigns you end up paying for. And we don’t sell through third-party retailers who add their own 300% mark-ups. You get what you pay for – and all you’re paying for is fabrics, craft, and effort. It doesn’t get fairer than that. We offer proper Italian made to measure suits. When you are measured, our tailors and will take over 15 different measurements to ensure every detail of your frame is accounted for. All the measurements are then sent to one of our workshops in Italy. Your suit will then have over 30 hours of work put into it. Button holes and trousers are hand finished, linings are sewn in by hand and collars hand stitched. Machining is kept to a bare minimum and only for parts of the suit where the strength and longevity offered by machine sewing is absolutely necessary. There is something magical about the finest Italian cloth, it’s suppleness, the way it moves. At Octavian K. we want our customers to benefit from the centuries of expertise and tradition that go into Italian cloth. We are using a lightweight canvas that perfectly blends the Italian and English styles. Our jackets have the more structured English shoulder and waisted jacket with a more relaxed feel across the chest and back. It looks English but feels Italian. A club is nothing without its fellow members. The Octavian K. member is passionate and knowledgeable about gentleman’s style and dress. The membership of my club will allow you to meet and network with fellow minded discerning professionals and high net individuals. Events will be small in scale, private and intimate. We want our club to become a sartorial home from home for you. If you would like to register your interest in Membership for the Octavian K. Club please click below.